State Treasurer Eric Schmitt announces changes in Missouri's Linked Deposit Program on March 22, 2018, in St. Louis. 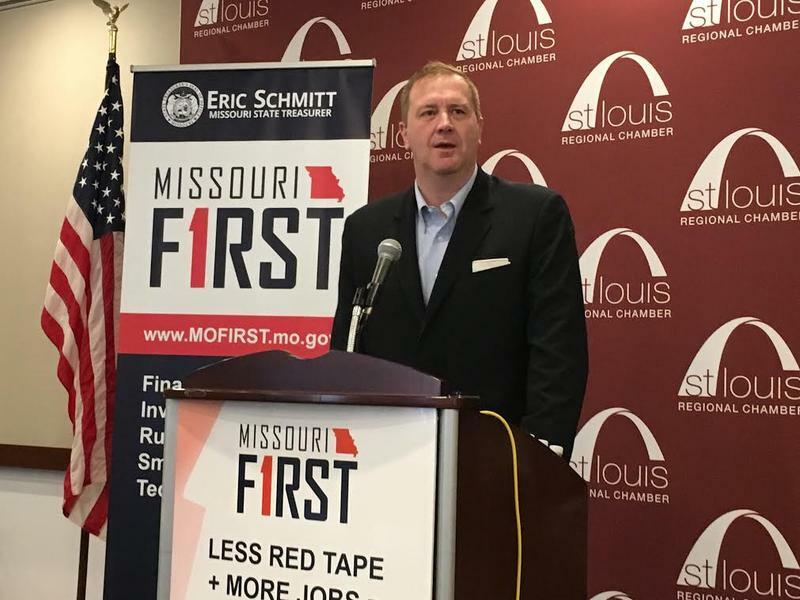 Missouri Treasurer Eric Schmitt is expanding a program that delivers low-interest loans to businesses. Schmitt was in St. Louis on Thursday to announce changes in Missouri’s Linked Deposit Program. That program places state money into banks, and those dollars can then be used for low-interest loans. Among other things, Schmitt is making the program easier to apply for — and allowing businesses to seek out another loan after five years. He said it's part of what he called the Missouri FIRST (Financing Investment in our Rural, Small Business and Technology communities) initiative. Schmitt also announced he’s expanding the eligibility criteria for agricultural loans. In addition to providing loans to businesses and farms, the Linked Deposit Program also lends money to local governments. Schmitt said there’s about $720 million of state money available through the program. A Missouri program that sets up savings accounts for individuals living with disabilities or their families begins Monday. The Missourians Achieving a Better Life Experience, or MO ABLE, accounts can be used to pay for qualified expenses related to living with disabilities and special needs. People can contribute up to $14,000 a year, and those who do get a tax deduction of up to $8,000, or $16,000 if married and filing jointly. Earnings in the savings accounts also are not subject to federal income tax. 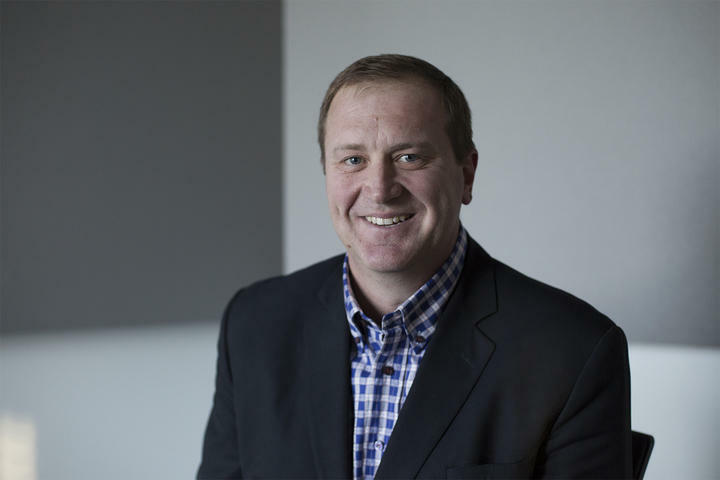 On the latest edition of the Politically Speaking podcast, St. Louis Public Radio’s Jason Rosenbaum and Jo Mannies welcome back state Treasurer Eric Schmitt to the program. With his latest appearance, Schmitt becomes the first elected official to be on the show for the fifth time. He was a guest during his tenure as a state senator representing a portion of St. Louis County. 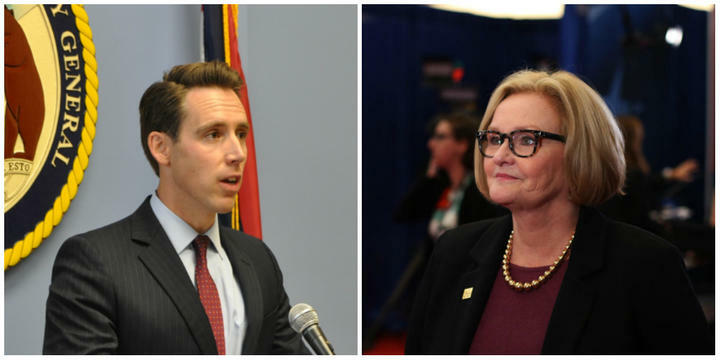 Missouri’s closely watched U.S. Senate contest may be 11 months away, but a flood of outside groups already are jumping in to aid or oppose Democratic incumbent Claire McCaskill or her best-known GOP rival, state Attorney General Josh Hawley. Most of these groups do not have to identify their donors or can delay that reporting until well into 2018. And many plan to concentrate their activities on social media platforms such as Facebook -- not television.